Time for my thoughts on the second fragrance from the 2016 SDM Fragrance Sampler that I picked up during a Black Friday weekend Bonus Redemption weekend! I have recently finished up with the Mascara Sampler that I picked up during that same shopping trip and luckily the Certificate was still good, heres hoping the same for this one. 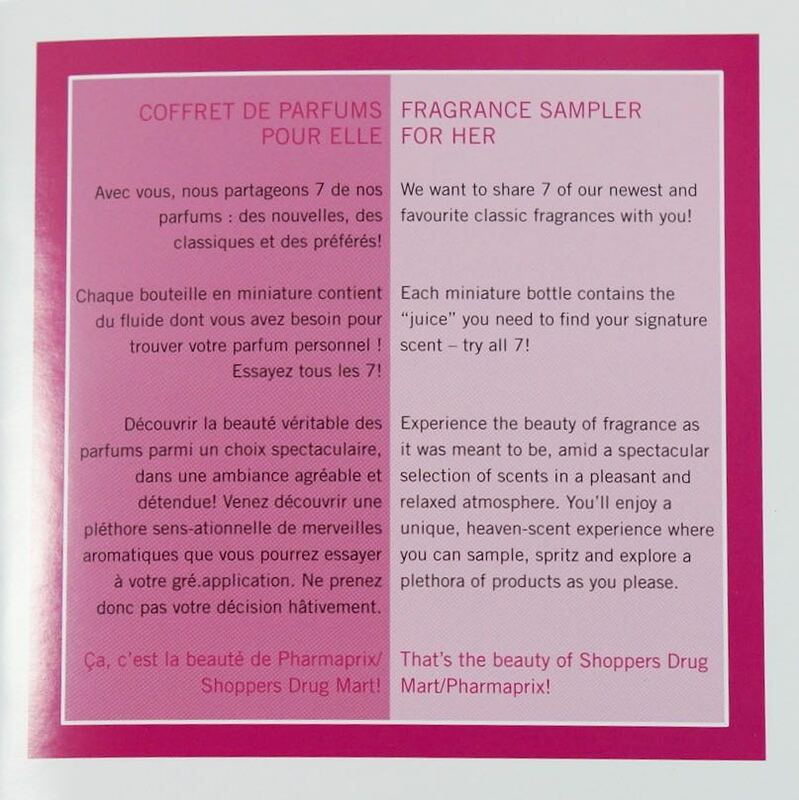 A look at what is inside the SDM Fragrance Sampler from Fall 2016. As with the SDM Mascara Sampler, I am hoping to give you my thoughts on each fragrance once a week. The fragrances I will be trying out each week are - Issey Miyake-L'Eau D'Issey Pure, Versace-Eros Pour Femme, Lancome-Tresor La Nut, Giorgio Armani-Si, Chloe-Chloe, Salvatore Ferragamo-Signorina, Mugler-Angel Muse. As I said in my intro post, there are a few fragrances included in this set that I already know that I like. The second fragrance for me to try was the Versace - Eros Pour Femme. And if I am reading the fine print right, the one you can get with the gift certificate is an Eau de Toilette Spray 50mL. Style: your natural, elegant style has a newly discovered sensuality and confidence inspired by the precious citrus, florals, and woods of the Versace Eros Pour Femme Eau de Toilette scent on your skin. Tones: deductively fresh Sicilian lemon and mandarin with crisp, fruity raspberry, and blackberry create a tempting sorbet, smoothed with velvety floral petals of jasmine and orange blossom and warmed with white woods. The Woman: She is proud to enhance her femininity and spirited character with this bright and enticing Versace Eros Pour Femme Eau de Toilette. If the promo picture is how the full size bottle looks, we have another pretty mini perfume bottle! When I first put on the Versace Eros Pour Femme perfume I can catch a hint of the floral scent, but thankfully, not to strongly. I am not the biggest fan of strong floral scents, so I am glad that they aren't to prevalent in this perfume! I don't smell the fruity scents much either, but I do like how this one smells better than the Issey Miyake. The scent is a tad strong at first but it does settle down within a few hours. The Versace Eros Pour Femme didn't last that long on me, I could only catch a slight scent after 6 hours. For me I would give the Versace Eros Pour Femme a rating of 3. I will happily continue to use up this mini, but I don't think it will be the one I pick up.